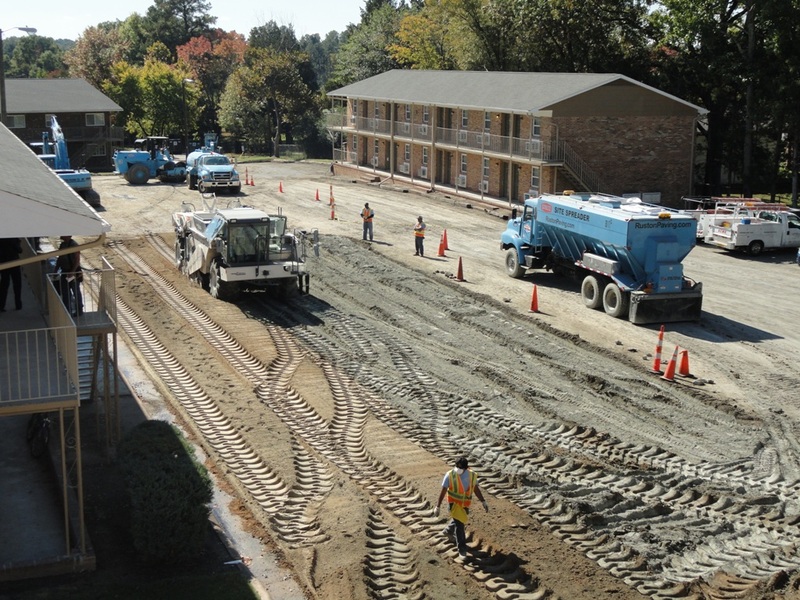 Ruston Paving mobilized its crews to reconstruct the parking areas at University Commons, a newly renovated apartment community located within minutes of Duke University. Years ago, a concrete surface was placed over unsuitable subbase. 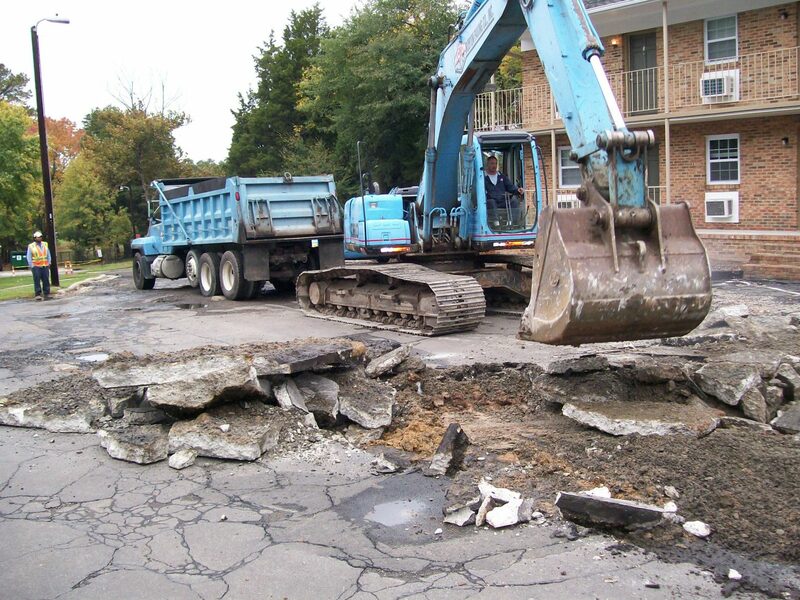 When the concrete failed, an overlay of hot mix asphalt was applied. 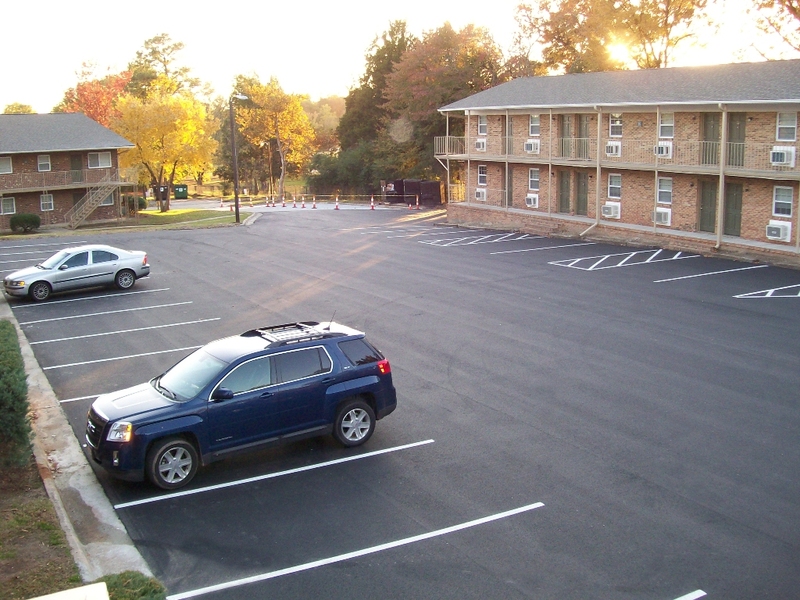 Because the parking lot’s subbase was never remedied, the asphalt overlay also failed. The community was then taken over by Capstone Development Corporation (CDC), who wanted to fix the problems the right way. 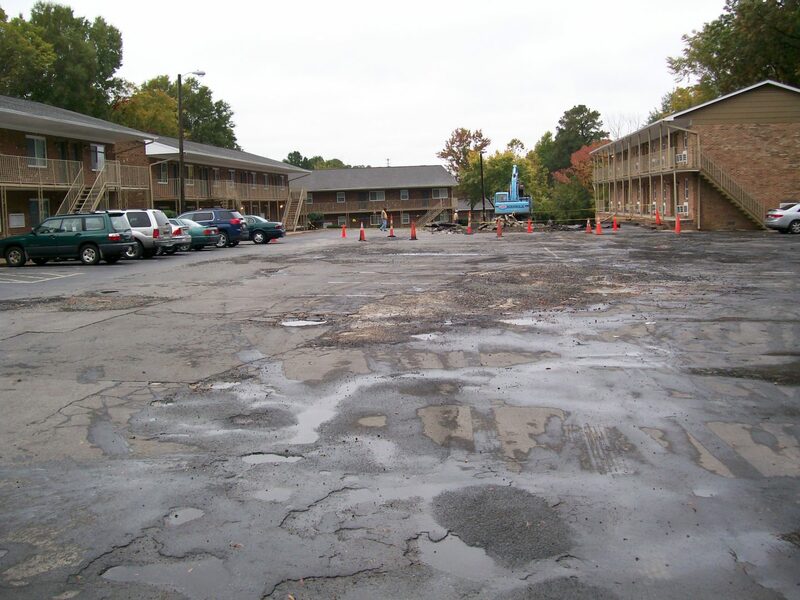 Ruston Paving worked with CDC and comprised a plan of action that would remove both the asphalt overlay along with the concrete layer. Ruston Paving then added Portland cement and course aggregate to the subbase through the process of full depth reclamation. 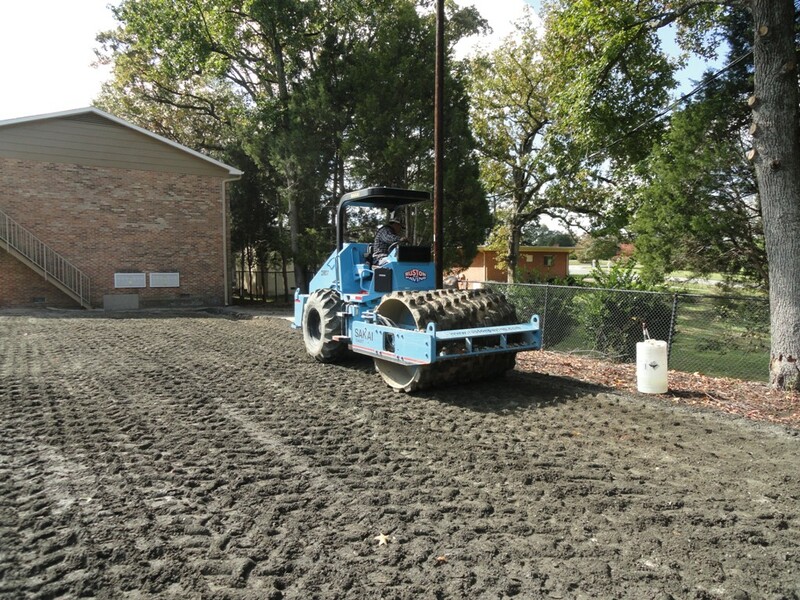 Once the subbase had cured and hardened, two lifts of hot mix asphalt were applied to give a smooth wearing surface. The project was such a success that an additional section of the community is being scheduled for rehabilitation.